Threat:The project applicant, Chevron and Pacific Coast Homes, proposes 756 dwelling units plus retail on 510 acres of open space. Description of the Issues: Concerns include loss of endangered species (flora and fauna), proximity to hazardous materials (previous oil drilling operations) and an earthquake fault, risk of wildfire, excessive water use, and loss of last open space in northwest Orange/southeast Los Angeles Counties, which currently provides needed respite for over a million people. FCH became a fiscally sponsored group under FHBP in 2001. FHBP voted to oppose the Coyote Hills project and signed on as a co-petitioner to two lawsuits, in August 2011 and February 2016. FHBP granted $2500 to FCH in 2011. 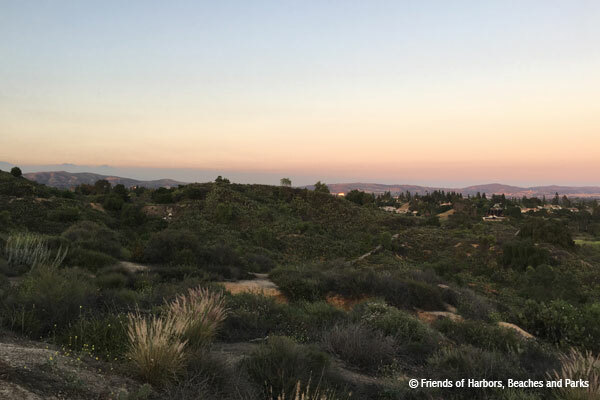 In 2011, a CEQA lawsuit was filed by FCH with FHBP and the Center for Biological Diversity as co-petitioners. In 2012, FCH successfully gathered signatures for Measure W, a referendum challenging the City of Fullerton’s approval of the Coyote Hills project. The measure passed with 61% of the vote in favor of terminating the development agreement. Despite the referendum’s passing, the City refused to terminate the development agreement for the project. FCH engaged in discussion with the City of Fullerton and Pacific Coast Homes (Chevron) in 2013 – 2014. A second lawsuit was filed in February 2016 by FCH with FHBP and the Center for Biological Diversity as co-petitioners. In October 2016, Superior Court Judge Claster ruled against co-petitioners.